‘Tis the season of long days and even longer nights! 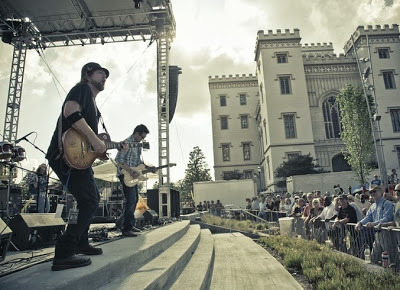 Kick start this year’s festival season with Baton Rouge’s Blues Festival on April 13th! From local legends to upcoming favorites, Blues Fest offers audiences of all ages an exciting and talent filled, family friendly afternoon. This impressive line-up includes some of the greats such as Bobby Rush and Henry Gray. Not familiar with the line-up? Not a problem! Radio Bar is hosting a free listening party for all blues and booze lovers. Quality drink specials and a good time are guaranteed! The Blues Foundation is also holding a panel discussion with a few of the artists to allow media and fans to receive some insight on the process and journey of a soulful musician in the south. Fans are also encouraged to attend the Gaudet Bros. style rent party, in which all proceeds will be donated to the Blues Foundation. Let loose downtown with the Baton Rouge Blues Fest.